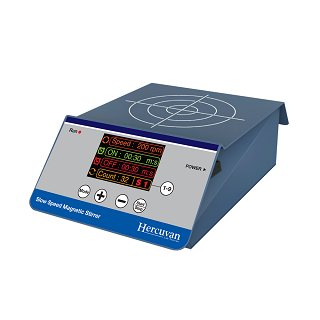 TT-SSMS-200 CellaSpin Slow Speed Magnetic Stirrer is ideally designed for optimal stirring of sensitive cell suspension and microcarrier cell culture and culture broths. 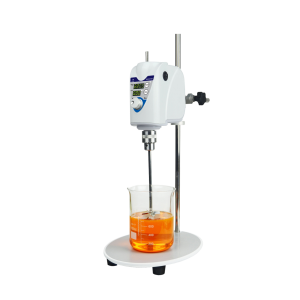 The gentle and smooth stirring capability from as low as 5 rpm up to 200 rpm promotes high cell viability and good mixing of media and cultures for up to 3 litres. The intuitive digital LCD control panel is easy to use with setting for cycle number and up to 9 programs for convenient daily operation. The built-in digital timer displays elapsed time and stops automatically after it reaches zero. Audible alarm sounds when time reaches zero. The metal shell housing provides durability and resists corrosive agents. What is the maximum stirring capacity and speed range? It can stir up to 3 litre culture or media. The speed range is from 5-200 rpm (1 rpm step). How many stirring point does it have? It has one stirring point. How many programs can be set? Up to 9 programs with cycle numbers can be set. What kind of flasks are compatible with TT-SSMS-200? Glass and plastic spinner flasks. Can it be used in CO2 incubator? In order to prevent any damage to the circuit board due to high humidity, it is not recommended to use TT-SSMS-200 in CO2 incubator.